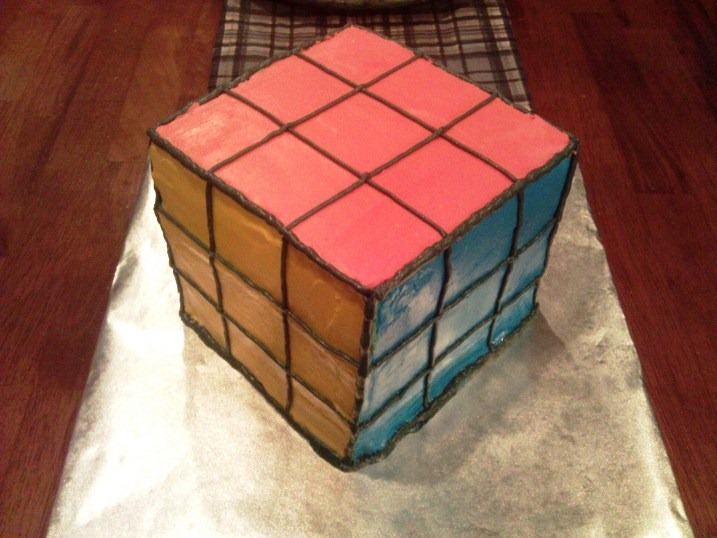 I've got geeky birthday cakes on the brain this week. My husband turns ... well, let's just say he's turning 29 again. And I'd like to make him a deeply nerdy birthday cake. 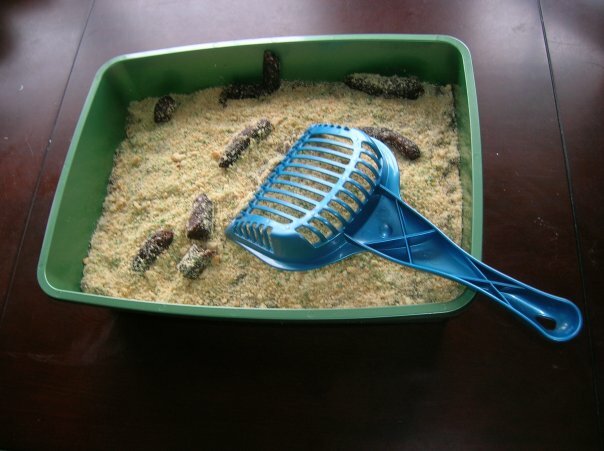 You can find plenty of amazing ideas online, but really, how many of those are executable by the average baker? 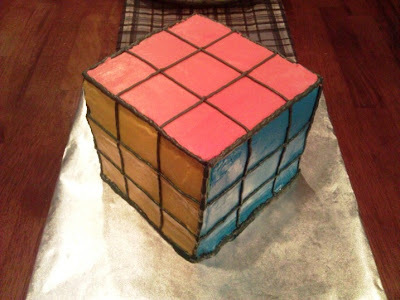 So I've found some suggestions for geeky cakes that seem reasonably easy for those with high hopes but limited professional pastry chef skills. One note: I do have a tiny bit of training in that I've taken a cake-decorating class, so I have passing familiarity with crumb coats and icing bags. The Wilton website has a Cake Decorating 101 tutorial that will get you up to speed on the basics. Anyway, if you don't have a time machine, here's one cake that looks doable provided you have a lot of patience and a star tip on an icing piping bag. 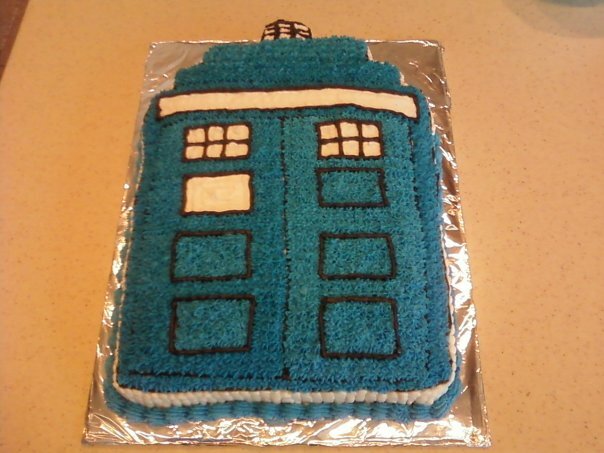 RozDeMinion at deviantART created this fab TARDIS cake by (I'm guessing) baking a cake in a regular 9x13 baking pan, then trimming the top in the shape of a phone booth and covering the rest with icing. There's a bigger on the inside joke here. You can fill in the blanks yourself. 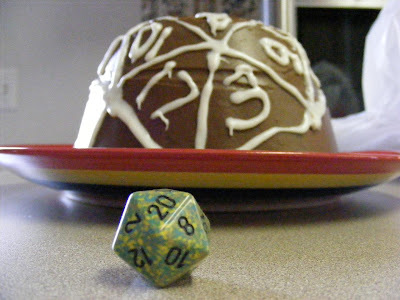 The dungeon master in your life will no doubt appreciate a cake similar to the one featured on RPGDigest. It doesn't look overly complicated. I'm thinking a bunt cake on top of a round cake layer, with a small piece of cardboard to cover the hole in the center? Round cake with yellow, black and red icing. Simple and awesome. It takes a special person to appreciate (and understand) what this cake is saying. 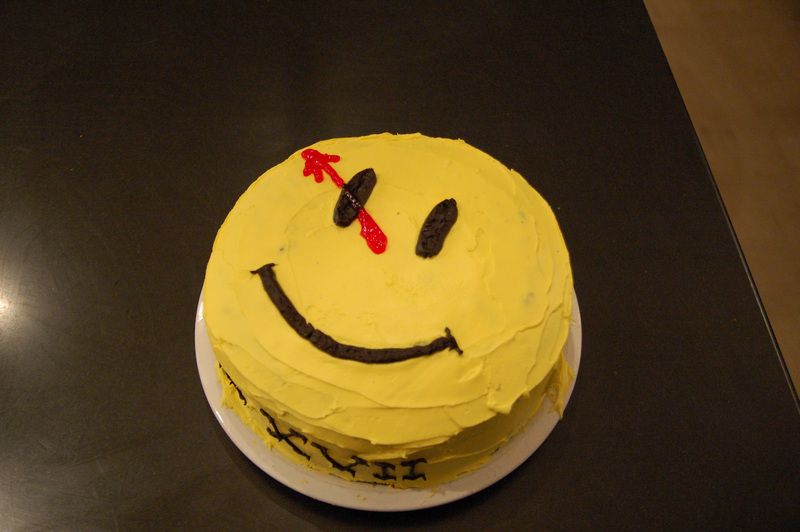 But in terms of decorating, a steady hand for writing in icing will do it. A friend of mine made a similar cake for her husband's '80s-themed birthday party a few years ago. Use flavorless dental floss to slice the sides of two layered round cakes into solid planes, then frost. I've also seen the colors filled in with M&Ms. If you're willing to drop some money, you can get these very cute Lego cake pans that will see you through years and years of birthdays to come. 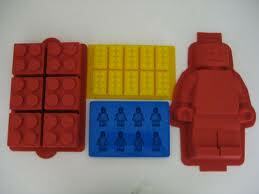 I'm wondering if you could also create a Lego brick-style cake by cutting out rectangles from a 9x13 cake, then topping them with the bottom halves of cupcakes and frosting the whole shebang. Sounds worth a try. The good news is, you can always gobble up the failures. Iced cakes are delicious, no matter how well or poorly they're decorated. This isn't so much nerdy as horrifying and wrong. But for what it's worth, this a cake I once made. The stunned silence that greets its arrival is priceless. So ... make it for someone you hate, I guess? Frost a big, flat piece of cardboard that you place in a cake pan. 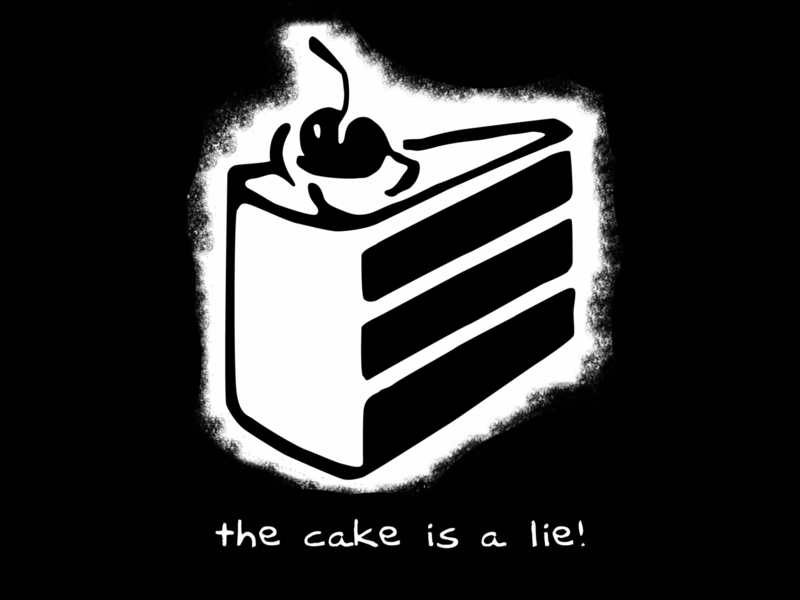 Write in icing on top "The cake is a lie." Nobody can accuse you of not warning them! 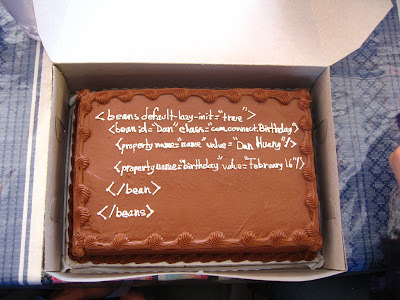 So what cake would you tackle if you were tasked with baking the geek in your life a birthday treat? I baked my husband a cake inscribed "life, the universe and everything". Guess what birthday? What a cute idea, Irina! I'm just gonna go out on a limb and guess... 42nd?